It's week 3 of our pet photographer blog circle and the theme is "Meet the Photographer". I write about why I do this on the "Meet Tracy" page of this site, but here are some additional known, and unknown facts about me and my family of furries. 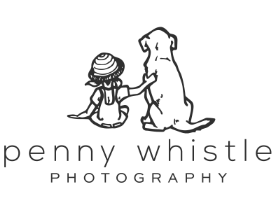 I am a Certified Professional Photographer specializing in pet, family, couples & engagement and senior portraits as well as commercial photography services. I have a studio in historic downtown Carrollton and regularly photograph on location in both park and urban settings in and around the Dallas - Fort Worth Metroplex. I am an escapee from the corporate world, retiring from my position as Vice President of Worldwide Sales at a software company on December 31, 2013 so I've been quite busy in my "retirement" (the quotes are from husband, who always uses "air quotes" when he tells people that I'm "retired" LOL). I've lost count of how many countries I've traveled to, but suffice it to say that Antarctica is the only continent I've not YET visited! Besides traveling and photography (yes, photography is my hobby too - if you'd like to view my personal photojournalism, documentary and macro work, you can visit my Flickr page), I enjoy reading, cooking (and the fine food and wine that goes along with that! ), gardening and hunkering down at home on the evenings that I'm not working and binge watching TV and movies with my husband and the furries. I'm not good at cellphone selfies as clearly evidenced here, but the smile on my face is real - the studio is my happy place. I love being behind the camera, meeting everyone's furry children (and even the ones without fur!) and helping the shelter and rescue community doing something I love. As I wrote about in an earlier blog post, I earned my Certified Professional Photographer (CPP) designation from Professional Photographers of America (PPA) in 2018. What you may not know about me is that I'm also a Certified Professional Dog Trainer, Knowledge and Skills Assessed (boy, that's a mouthful, so CPDT-KSA for short, which actually isn't much better) with the Certification Council for Professional Dog Trainers (CCPDT), the most widely recognized certification body for dog trainers world wide. The "KSA" means that I have taken both the knowledge test - a 4 hour, 250 question test covering everything from husbandry to ethology that you can only take after you've logged 300 hours of training - as well as passed the submission of videos of myself training dogs and working with clients to train their dogs to evaluate my skills accomplishment. I am proud to be one of less than a dozen dual-certified trainers in the state of Texas. I am dedicated to positive reinforcement training techniques and in December 2017 I graduated my 100th group obedience class at Camp Bow Wow in Coppell where I'll celebrate 5 years of service in April 2019! At home we have a house full of animals of course. We adopted Dingo from Operation Kindness in 2007, Ginger from the City of Irving Animal Services in 2010, Gracie from the City of Dallas Animal Services in 2012 and Jiffy the Cat from Coppell Animal Services in 2013. Yes, photographing shelter animas can be hazardous to your home pet population! Oh, and I rescued Wayne and married him in 2000! I can't wait to learn more about my fellow pet photographers so let's see what Angela Schneider of Noses & Toes Pet Photography is the Spokane Dog Tog is up to - she creates family portraits with your four-legged furkid as the star - and then continue through the circle by clicking on the link at the bottom each post to meet this week's participating 'togs! Let's talk about your family or pet portrait! Lynda Mowat - Lovely photos....particularly that last one with all the family. Ginger has a beautiful smile...a born model. Congratulations on all your achievements. Very inspiring! Jo - Great post Tracy and I totally understand the "hazards" of photographing shelter pets! Linda Perdue - Wow - you are very well accomplished! it's so nice to learn about you and your certifications - did you achieve all of these after you 'retired'? If so, you have been VERY busy - and I think you should consider this a 'career change' not retirement ! shae - This is so great! I loved meeting you in person this year. Your studio is incredible and one day I hope to give all the puppers (and the kitty if I must ;) ) a smooch! Angela - What a wonderful pack you have. Yay for fine food and wine! Darlene - Great to see you, Tracy! Love the graduation pic of the class - so much fun! Your family is beautiful - great image of all of you! Haha I love that you rescued Wayne!!! Elaine - Beautiful family portrait, Tracy. It was great learning more aboutit you. And I love Jiffy! Colleen - Hi Tracy, It is lovely to meet you. I too am retired and can so relate to the "air quotes" :) What a beautiful pack you have and your accomplishments are inspirational. Kim Hollis - Nice job on all of the detail and the entire family pics. I need to work on that! !